Experience the Spirit of Africa! Go on a journey which will turn into an unforgettable once-in-a-lifetime adventure. 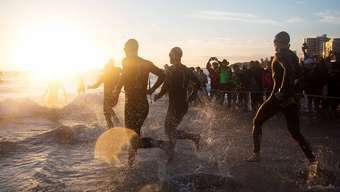 In South Africa you will find adventure, excitement, action and of course your Ironman. Open your season with one of the most legendary races, awaiting you in Port Elizabeth! No matter from which airport, which flight class or with what luggage you want to travel: tell us your flight preferences and we will find the right one for you. We know all about the different airline's checked baggage policy regarding bike transport and will also take them into account when selecting the best Flights connections. Our accommodation, the Citylodge Port Elizabeth, is located very close to the race's start and finish lines, directly on the most beautiful beach in Port Elizabeth. The perfect start point to an amazing race and holiday! Would you like to explore the surroundings on your own? In that case, a rental car is exactly what you need. We will arrange for the appropriate vehicle type with a complete insurance package at attractive conditions. Regardless of how much luggage you travel with or at what time of the day or night you arrive at the airport, we are there for you and will take care of your transfer. Are the local supermarkets already closed? We will cater for you with drinks and something to eat, this is standard practice for us! 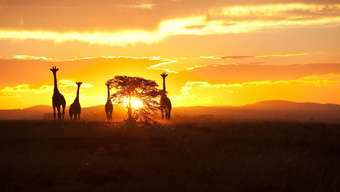 We are not only a sports specialist but also a tour operator who can organise an after-race round trip through Africa's breathtaking nature. We will gladly give you an overview on city trips or the Big Five (lion, leopard, rhinoceros, elephant and buffalo). What could be nicer than getting to know great like-minded people? HHT - connecting people since 1987. We offer excursions and events together with the whole travel group during all our trips. Checking out the swim, bike and run course together is part of every race trip with us. Needless to say this includes our comprehensive carefree package, meaning food and beverages as well as mechanic support etc. We know how important race material is to all athletes. On each trip we have a mechanic traveling with us who can take care of your bike, even at the last minute. Did your frame break? We have always managed to arrange for a replacement bike in the past. We will attend the race briefing for you and emphasise the most important points. Should there still be specific questions remaining unanswered after that, we will use our 30 year-old network and ask the race direction directly! 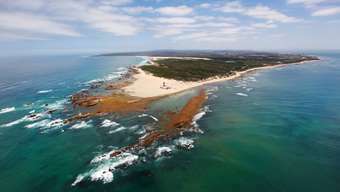 Port Elizabeth is a quiet city of 1,4 million inhabitants situated right on splendid Indian Ocean beaches. On top of this dreamlike location by the sea, the "Friendly City" is home to the Addo Elephant Park (the largest elephant herd in South Africa) as well as a safari park with lions, rhinoceros and water buffalos! You can fell the sports enthusiasm, the weather is fine, bike and run course as well as swimming facilities offer outstanding training conditions. A race amidst the music and rhythm of traditional choirs and bands awaits all participants - a unique setting and atmosphere!